1. The Health & Safety at Work etc. Act 1974 (HASAWA). 2. The Management of Health and Safety at Work Regulations 1999. 3. SI 2000 No. 128, The Pressure Systems Safety Regulations 2000 (PSSR). 4. BCGA CP 4, Industrial gas cylinder manifolds and gas distribution pipework (excluding acetylene). 5. BCGA CP 26, Bulk liquid carbon dioxide storage at users' premises. 6. BCGA CP 30, The safe use of liquid nitrogen Dewars up to 50 liters. 7. BCGA CP 36, Cryogenic liquid storage at users premises. 8. BCGA CP 39, In-service requirements of pressure equipment installed at user premises. 9. BCGA GN 10, Implementation of EIGA carbon dioxide standards. 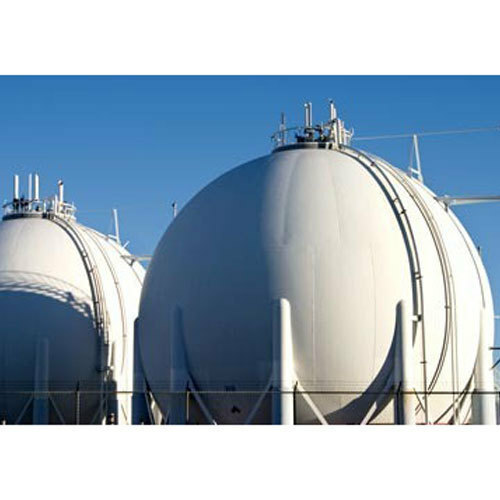 10.BCGA GN 17, BCGA policy and guidance for the safe filling of 3rd party owned and/or maintained bulk tanks. 11. BCGA L 11, Safety checks for vacuum insulated storage tanks. Established In 2012, Arslan Enginery is an EPC/EPCM Contractor Base Company and leading organization affianced in the area of Oil & Gas, Petrochemical, Chemicals, Fertilizer, Pharmaceuticals, Metallurgy and Power Plant Projects. We provide the complete total solution from Engineering Procurement Commissioning till Construction of the Projects. We are having a team of Process Design engineers, Chemical engineers, Mechanical engineers and R&D team which work together for a dynamic way to ensure the best work efficiency and quality of work to satisfy the international parameters and stranded. We are Developer (R&D) and Manufacturer of Petrochemical & Chemical Plant Equipments and heavy Industrial special purpose Machines. We assure that only top-notch basic material is used by the professionals along with ultra-modern tools and machinery. Besides this, we check these on a variety of grounds before finally shipping them at the destination of our customers. Together with this, our offered facility of customization in order to attain a high level of customer satisfaction and credibility has earned us a huge number of satisfied customers all over the globe.